There is a romantic tradition in American popular culture of the itinerant adventurer. A man alone, traveling around the country, meeting people, becoming involved in their lives for a short time, then wandering off again. They travel by horse (Have Gun, Will Travel), by car (Route 66), by motorcycle (Easy Rider), on foot (Kung Fu). Alec Soth travels with a camera. A big camera. An 8×10 view camera. He encounters strangers, involves himself in their lives long enough to take their photograph (a time-consuming process with a large format camera), then wanders off again. From these experiences, Soth has built a career and produced four major photographic projects. Like his earlier works, Soth’s most recent project, Niagara, is characterized by a documentary style that is both unfussy and unabashedly romantic. The photographs are ‘romantic’ in the sense that the subjects often see themselves…or try to see themselves…as idealized versions of themselves, embodying romantic characteristics; chivalrous, adventurous, heroic. And, in a way, Soth seems to find them heroic as well. The images aren’t "pretty" but there is a lyrical poignancy to them that is heart-rending. Niagara Falls is known for two things: marriage and going over the falls in a barrel. Soth (born and still based in Minneapolis, MN) chose Niagara Falls as the subject for his most recent project based entirely on the town’s reputation as the honeymoon capitol of the U.S.; he’d never visited the town. "I thought of the project as being like a love song–a sad love song–and sort of emotional, hitting on certain cliches, but hopefully being moving in a way." He hadn’t counted on the depressed economy and the general cheeziness that had overtaken the community. 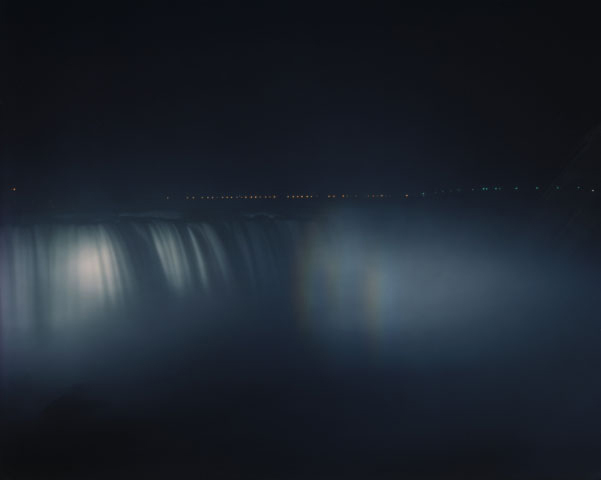 Beginning in 2004, Soth made seven trips to Niagara Falls, each lasting two to three weeks. His early perception of the community quickly took on a darker edge. 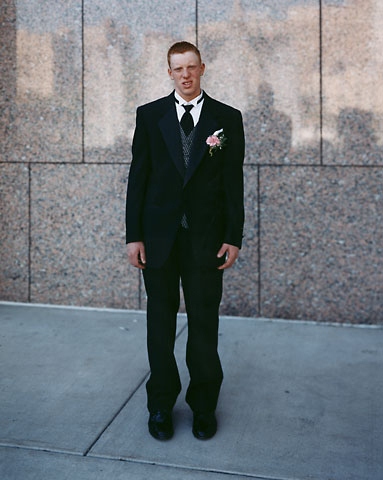 He photographed the people who came to the Falls to marry, the young hopeful newlyweds. 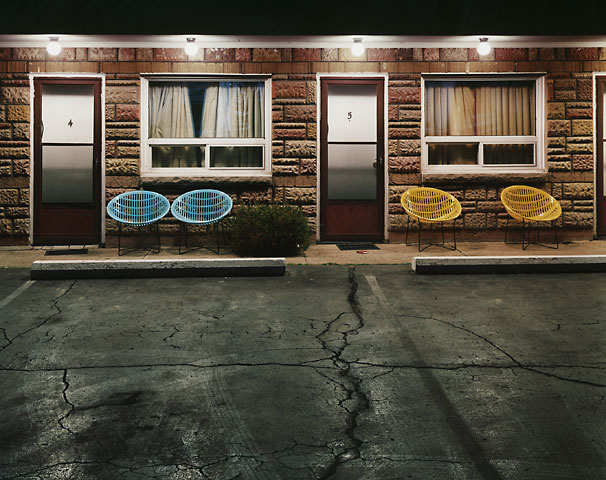 He photographed the cheap motels they stayed in, the contrast between the romantic dream and the gritty reality. He even photographed the love letters left behind in the motels, and the farewell letters of those who apparently changed their minds at the last moment. One such letter ends with this: "If there was a nice apartment and I have a decent job and you felt happy and thought there could be a nice history together, would you come home?" And always, in the background, are the falls themselves…the force of nature that is the source of the mythology of Niagara. They are astonishingly beautiful, and Soth’s photographs reveal their intense allure and magnetism. Soth says, "There’s a force there that calls people to it, and I do think the power of passion or new love is sort of reminiscent of that. I just think that sort of passion or new love crashes down eventually. That’s what I was interested in: passion and its aftermath." It’s not surprising that so many young people with such a huge capacity for hope and so little real reason on which to base it flock to Niagara Falls. It’s not surprising that people are always willing to climb into the barrel and trust their luck going over the falls. Sometimes people get lucky and everything goes just right.